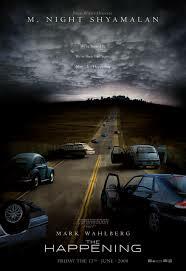 A couple of weeks ago I delved into the deep dark world of late career M. Nigh Shyamalan with a live tweet of The Happening (2008). Oh my it was painful. A pain you can re-live here. Ha, how did you get lumbered with that one? The most horrible part of the whole film is when it started in Paris at the end.. Just for a moment i thought “The Happening 2”. Fortunately it has not happened.. Yet. Watched Oblivion on DVD recently, it did not meet expectations at all, sadly. I’m sure they would have loved to make a sequel. Was never going to happen with how this turned out. I ran a poll on here about which crappy Shyamalan film I should review, and this was the clear winner. Oblivion was ok. But nothing more. Hilarious! Such an awful film!